Making whisky is no longer the only concern for many Scotch distilleries. With visitor centre numbers at an all-time high, Felipe Schrieberg explores how the global popularity of whisky tourism is giving birth to a new generation of distillery – one that puts the visitor experience first. 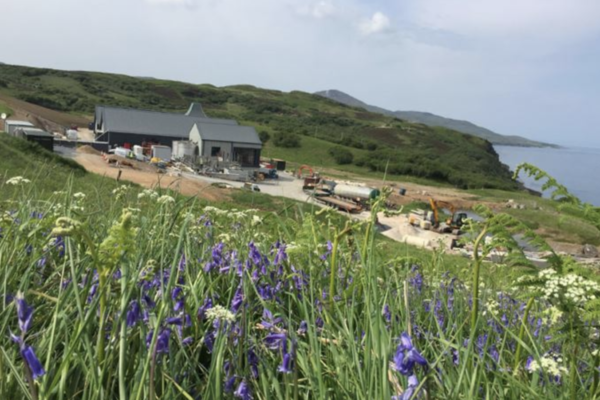 The nearly completed Ardnahoe distillery, set on a bluff overlooking an unbeatable view of the Sound of Islay, is a unique place that perhaps represents the future of whisky tourism in Scotland. For a relatively small facility, a large amount of space has been developed to accommodate future visitors, and eventually will incorporate a café-restaurant, bar, tasting room, gift shop and viewing balcony. It’s representative of a new generation of whisky distilleries designed and built with the visitor experience as a priority – considered, perhaps, almost as important as the distillery operation itself. The Rhythm & Booze Project © 2019 - All Rights Reserved.